www.OlmstedPL.com Wow! 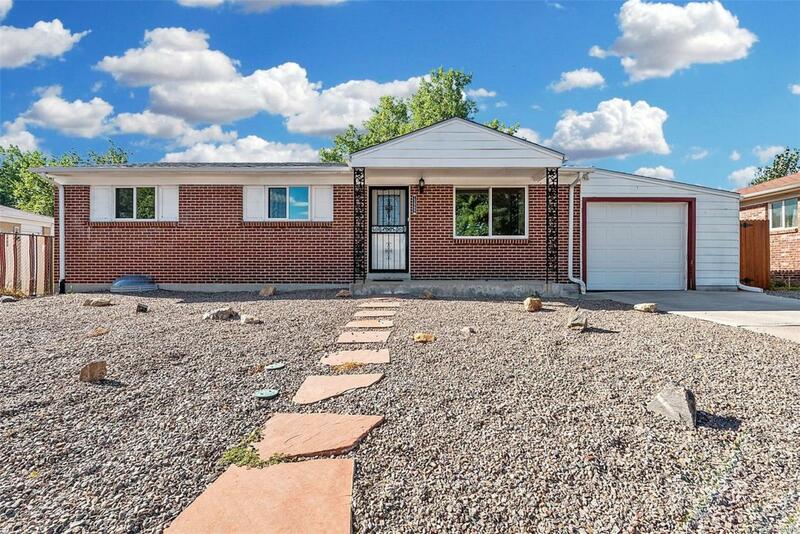 This home has been meticulously updated and maintained over the years, completely turn-key! This 5 bedroom Montbello ranch features hardwood laminate floors and granite throughout the main level, overlooking a professionally landscaped backyard, and xeriscaped (no water needed) front yard . Below, the fully finished basement has brand new carpet and paint. But wait there's more! Updated electrical, updated plumbing, new roof, new sewer line, new fence, new shed, new appliances and the list goes on! Whole house water filtration/softening system, tankless water heater, and high efficiency double paned windows are just a few of the things that make this home truly one of a kind. Incredible condition. This one will go fast, see it today!